– a chat with Abhi Yadav, founder of Zylotech, a MIT-bred, artificial intelligence-driven Customer Data Platform and message selection engine. Those roots made it seem a likely candidate for IT-driven purchases, but Yadav told me his primary buyers are marketing operations staff. In fact, he hasn’t even run into those marketing technology managers everyone (including me) keeps talking about. 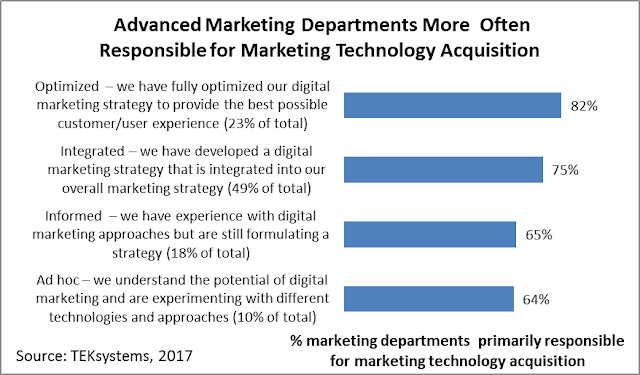 On reflection, it makes sense that marketers would be the buyers since Zylotech includes analytical and message selection features only used in marketing. A system that only did data unification would appeal more to IT as a shared resource. Still, Yaday’s comments are one point for the marketer-control team. 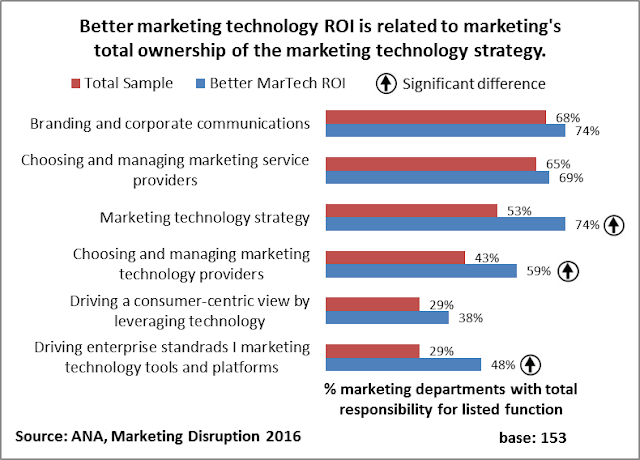 – a survey from the Association of National Advertisers that found marketers who control their technology strategy, vendors, and enterprise standards are more likely to have a strong return on martech investment. (The study is only available to ANA members but they gave permission to publish the table below. You can see a public infographic here). That’s two points for Team MarTech. So far, the game’s a blow out. Marketing is usually in charge of its technology and does better when it is. A doubter might question if marketers really make better choices or are just happier when they’re in control. I do suspect that IT people would be less confident that marketers are making optimal decisions. Still, there’s no real reason to doubt that marketers are the best judges of what they need. But the game’s not over. Let’s call in a recent Ad Week article about global tech consultancies buying marketing agencies. The article cites Accenture, Deloitte, IBM, KPMG, McKinsey and PricewaterhouseCoopers and notes that each already has huge agency operations. To the extent that these firms are working with marketing departments, it’s still more evidence of marketing being in charge. But the real story, at least as I read it, is these firms are getting involved because they see a need to integrate marketing technology with over-all corporate technology, just as marketing strategy needs to support corporate strategy. To me, this is the key. As every aspect of customer experience becomes technology-driven, technology must be integrated across the corporation to deliver a satisfactory experience. Marketing may be the captain, but it’s still part of a larger team. If marketing can be a true team player, it gets to call the plays. But if marketing is selfish, then a coach needs to step in for the good of the whole. I’ll spare you the extended sports analogy. 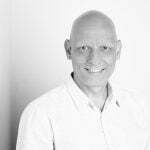 In concrete terms, if marketing picks systems that only meet marketing needs, then the integrated customer experience will suffer. Worse still, some new tech-driven offerings may be impossible. This could be fatal if other, nimbler competitors deliver them instead. Tech-based disruption is a real threat in many industries. Companies can’t just hope that each department working on its own will yield an optimal solution for the business as a whole. In fact, they can be quite sure it won’t. 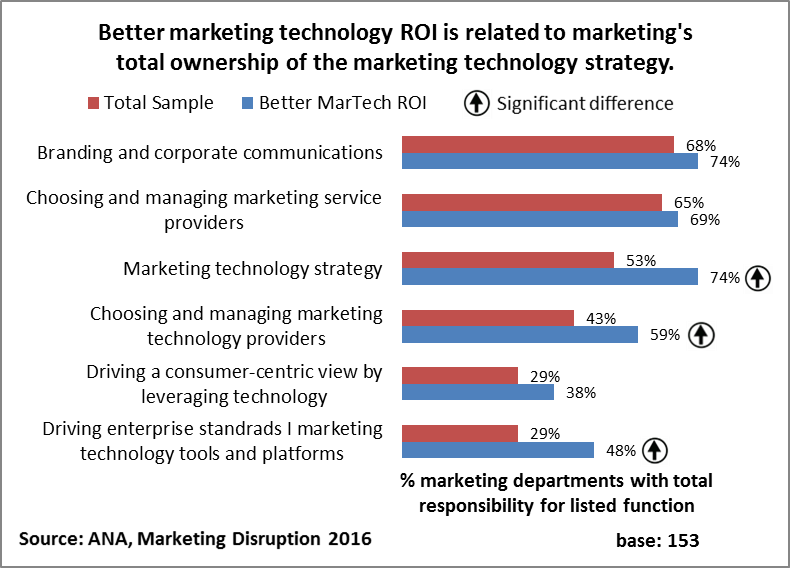 That’s why I’m not convinced by surveys showing marketers are happier or get better return on investment when they control their own technology. It’s possible for that to be true and for the corporate to miss larger opportunities that require cooperation across departments. If marketing can take that broader perspective, there’s no problem. If it can’t, IT or another department with enterprise-wide perspective will need to enter the game. Great article, David. I see the same issue. Marketing, as well as Sales, Service, Operations, IT, etc. are nearly always able to take the best decision for themselves. Mathematically spoken, this leads to a local optimum, which in most cases is far from the global optimum. That’s why I think that tech decisions need to be bound by a strong, yet nimble, framework, that enables (or rather incentivises, if not enforces) decisions that lead closer to a global optimum.